Our clients that make the decision to build a safe room usually start by researching their options and considering their unique situation. Those who explore this industry at length quickly come to the realization there are so many levels of sophistication among disaster shelters. When faced with that knowledge, they contact Disaster Bunkers. Nuclear bio-chemical filtration is an all-inclusive means of making sure your family will be protected in the event of a disaster. In today’s environment, the risk of an invader is ever-present. 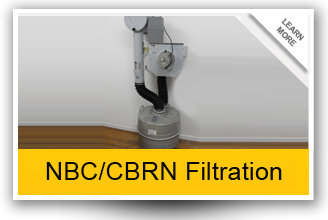 Whether this is in the form of a nuclear bomb, or a biological or chemical weapon, protecting the air that you and your family breathes with NBC shelters and other systems is extremely vital for survival. Other matters can also be considered. 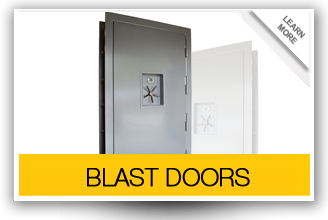 At Disaster Bunkers, you have many options, including underground bomb shelter construction, above ground safe rooms and much much more. 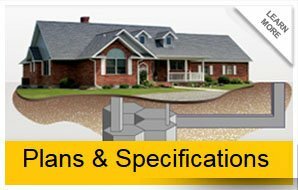 The details, those structural requirements, and the guarantee of an effective defense, are why customers come to us for answers. Shelters that keep you and your family member’s safe in the event of unexpected catastrophe vary, not just within the industry but also within the options available to you when you explore the site. Here at Disaster Bunkers, you’ll find the full array of options, customizable to your unique situation, wants and needs. They are always carefully designed and constructed using the highest standards. Everything, from a simple disaster shelter to large Smart-room hexagonal concrete shelters, are available to you. Something far more sophisticated and comfortable than your grandfather’s storm shelter. Our Land Home Shelter Systems can be built to the size and specifications that you want and need. NBC shelters are constantly the preferred choice in personal safety and protection. This term refers to the use of sophisticated ventilation and filtration systems that guarantee the purity of your family’s air no matter what the circumstance of the environment outside. This is absolutely essential. Good preparation means you will have the supplies to allow your family to stay in place for three days or longer. The supplies includes but are not limited to food, water, hygiene concerns, and appropriate bedding. You will also need to take in account issues that may arise where you might needs things such as first aid and medical supplies, flashlights, and tools to help fix damage when you leave your shelter.